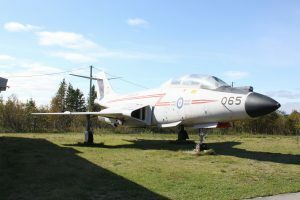 After completing a $400,000 renovation of its facilities, the North Atlantic Aviation Museum in Gander, Newfoundland still finds itself suffering from a lack of interest. A recent annual general meeting held by the museum’s board of directors, despite being advertised on local television, at the chamber of commerce and by word of mouth, was attended only by the directors themselves. While the small museum is certainly putting in the effort, evidenced by their recent renovations and the level of activity they maintain on their Facebook page to encourage engagement with the public. The community of Gander has a rich aviation history. The town was chosen for the construction of an airport in 1935 because of its location close to the northeast tip of the continent and was an important refuelling point for transatlantic aircraft making the journey between Europe and North America. In World War Two, as many as 10,000 Canadian, British and American military personnel resided there when the airport served as a marshaling point for the Royal Air Force Air Ferry Command, with approximately 20,000 fighters and bombers, built in America and Canada, stopped at Gander on their way to the war in Europe. After the war, the airbase became a civilian airport, the town grew as the airport was used as a refuelling stop for transatlantic flights, earning its name “Cross-Roads of the World”. Construction of the present town began in the 1950s, as the old location was uncomfortably close to the bustling airport. In October 1974, the supersonic transport Concorde landed at Gander after the first in a series of transatlantic test flights, two years before inauguration of scheduled commercial service. Gander International Airport also played an crucial role in world aviation on September 11th 2001, when all of North America’s airspace was shut down in the wake of the terrorist attacks on the United States. As part of what came to be called Operation Yellow Ribbon, residents of Gander and surrounding communities volunteered to house, feed, and entertain the travelers stranded in the area after 38 civilian and 4 military flights bound for the United States were ordered to land at the airport. These small communities put up more than 6,600 passengers and airline crew members, equivalent to 66 percent of the local population found themselves forced to stay in the Gander area until airspace was reopened and flights over North America resumed. 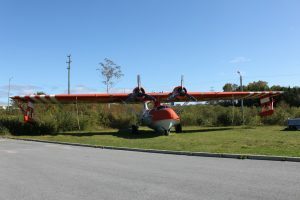 Consolidated PBY Canso water bomber in the distinctive orange and green livery of the Government of Newfoundland and Labrador. 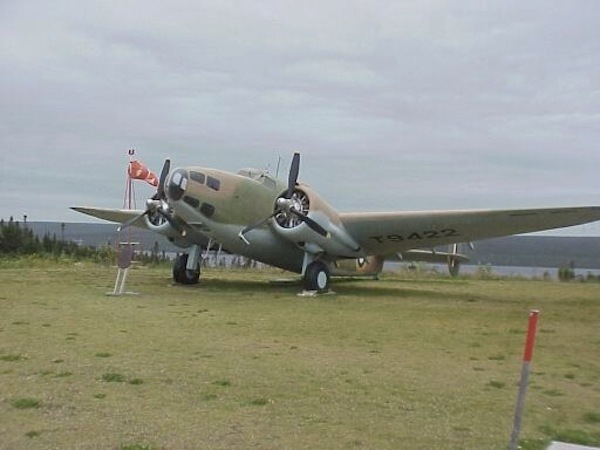 With its streets named after famous aviators and economy long-based on serving the aviation industry, Gander more than most places has an aviation legacy worthy of preservation and celebration. 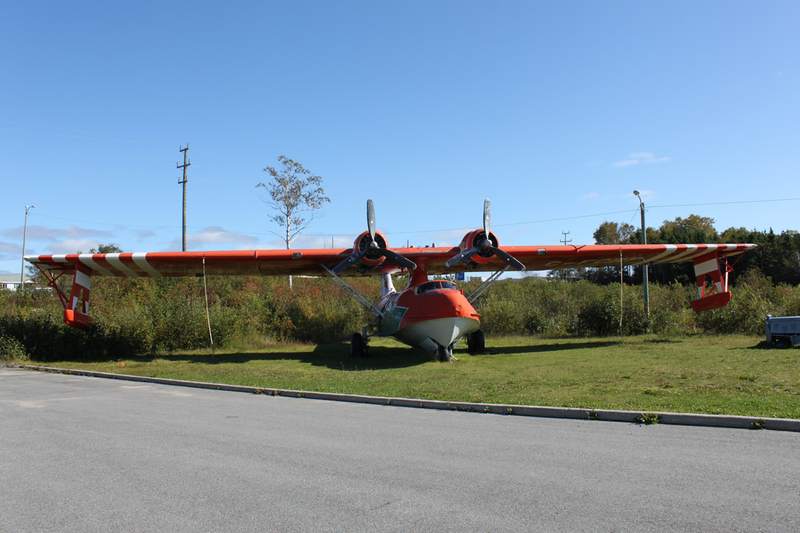 The Museum’s exhibits cover the parallel histories of aviation and Gander from the town’s humble beginnings as a small settlement next to the airfield straight through to today, with newly modernized multimedia displays, a flight simulator and some historically significant aircraft including a restored de Havilland Tiger Moth, a Twin Beech, McDonnell CF-101 Voodoo and a Canso PBY Water Bomber that is incidentally a sister ship to the one on which we recently reported. 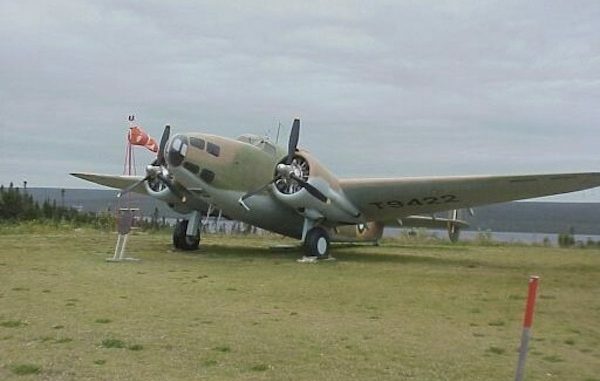 The prized possession of the collection is the Lockheed Hudson on display that was a local landmark, for years mounted on a pedestal near the entrance to the airport. 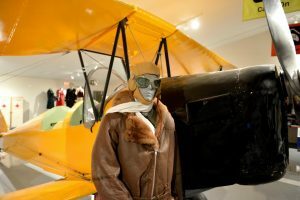 The plane, currently residing outdoors at the museum is the last complete example of its type remaining in Canada and one of only a handful left in the world. 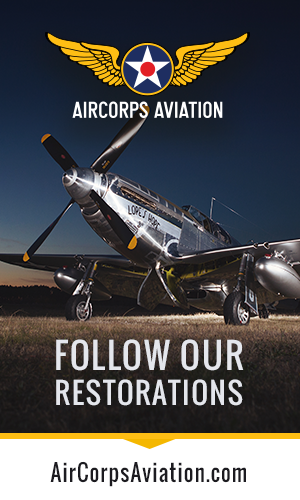 The museum continues to work away at future projects, the most ambitious plan is to build a hangar for the Hudson to get the rare warbird out of the elements. During the short tourist season in the summer months this newly-modernized museum is open seven days a week and admission is free, so it’s worth a visit if only to see the Hudson, to say nothing of the other interesting displays and exhibits.